pjo catfights:). this looks familiar.... HD Wallpaper and background images in the The Heroes of Olympus club tagged: the heroes of olympus percy jackson jason piper reyna annabeth rachel. who's the girl arguing with Annabeth? Rachel, of course xD lol I love how the guys both look so nervous. Woaw seriously, that does look very familiar Haha!!! Lol! both guys look so nervous...it's like they are scared the girls are gonna explode like a bomb!!!!!!!!! 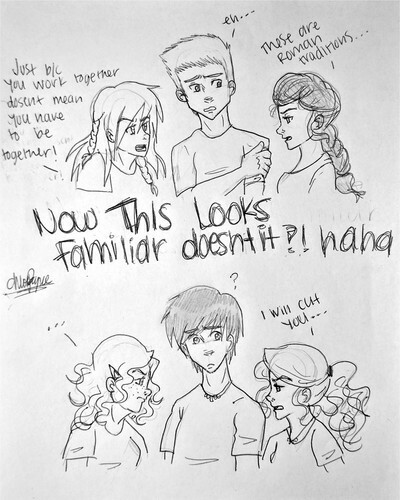 haha annabeth*i will cut you* hahahahah!!! I does seem that Rick Riordan has done this before but note that we never saw Rachel's point of view and we saw Piper's. There is no way we can know who Jason ends up with but I would just like to see more Thalia- Jason sibling scenes. Ya know? I have to root for Reyna here. Only fair, seeing that I'm an anti-Perchel person here. 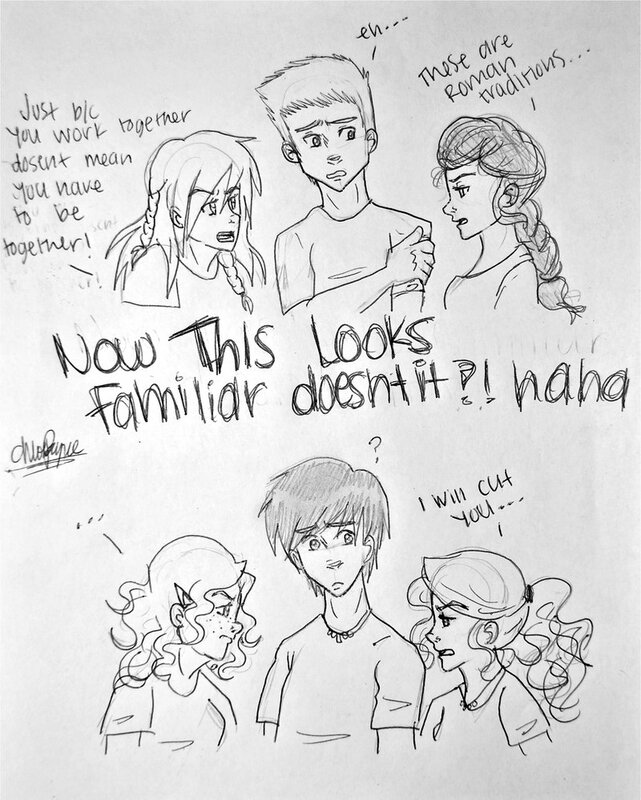 Hahaha and percy had it easy because Rachel is cool but he seriously couldnt pick her over Annabeth. jason isnt sure an percy is just confused! I love how Percy looks like a gorilla! Didn't ryena like Percy? God, it seems like she likes more guys than she can keep track of.